To add to this festive Christmas season, Dion Baia ended up tracking down and recording a special Side-Cast edition Saturday Night Movie Sleepovers, enlisting his old friends Brian Zino and J. Marcus, the cohosts of his former podcast The Podwits. Now to get them together for a recording, Dion knew there was one topic that would coincide with this season and something the boys could go on and on about: TOYS! So for this SNMS special, Dion brought back his old cohorts to have a trip down memory lane and reminisce about the toys they grew up with and a time that children nowadays sadly may never know about: how awesome it was growing up in the 1970s, 80s, and 90s- a time when kids had a gun aisle in their local toy store, and could go buy candy cigarettes they could then ‘smoke’, just like their parents. The trio begin with chatting about the cartoons they grew up on, and some of the toys that came out of those francheses. They talk about the Mego toy empire of the 70s that had a monopoly on everything, and the segue that occured in the 1980s with the unstoppable titans Mattel, Hasbro and Kenner and their strong hold over the market, before others like Playmates and Galoob moved into the field. 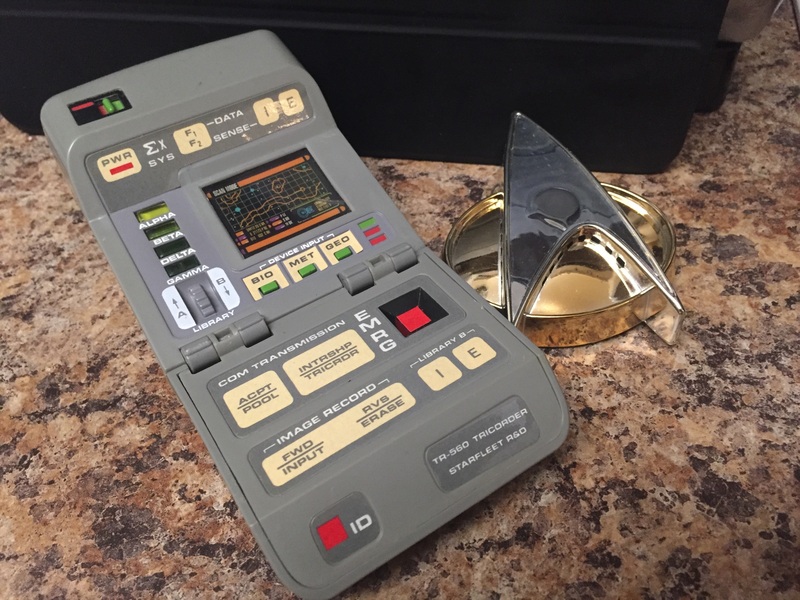 Along with toy figures, t hey also chat about building sets like Legos, Construx and Girder and Panel, and even touch on model-making and specifically superhero and movie character models, and the exciting products that were put out by companies like Aurora in the 70s and later on by Horizon in the mid 1990s. They also challenge each other by posing the ‘white whale‘ question: was there a toy they always wanted and never received? 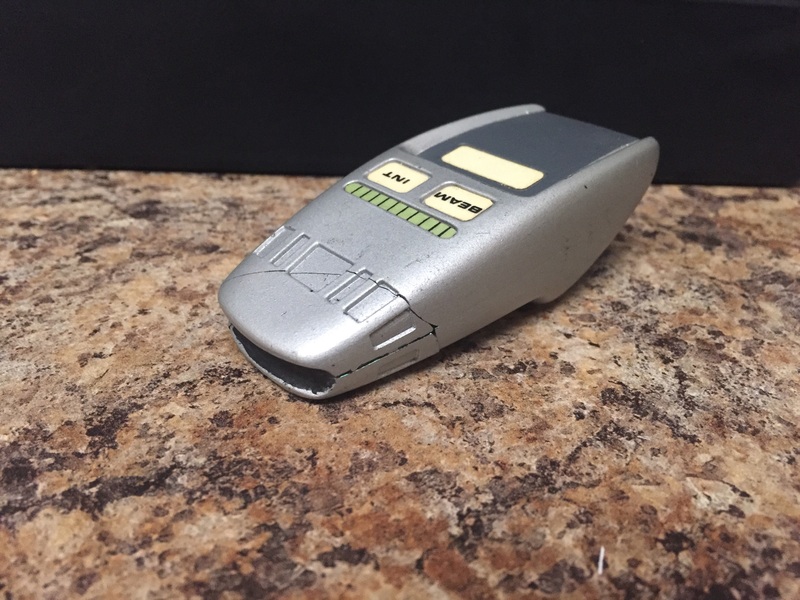 And how about the toy(s) that in theory were great but practically, either because of design or toy-playing, was frustating and annoying to say the least. Yes, they’re all over the spectrum in this special, Christmas time edition of Saturday Night Movie Sleepover‘s Side-Cast. Come have a listen today! *The small battery powered 4×4 vehicles that Dion could not remember the name of from the early 1980s were called STOMPERS. Check out J. Marcus in a segment where TV’s American Toy Scout Joel Magee drops by J’s apartment to take in the eclectic collection that is on display for all to see. Here is the A-Team B.A. 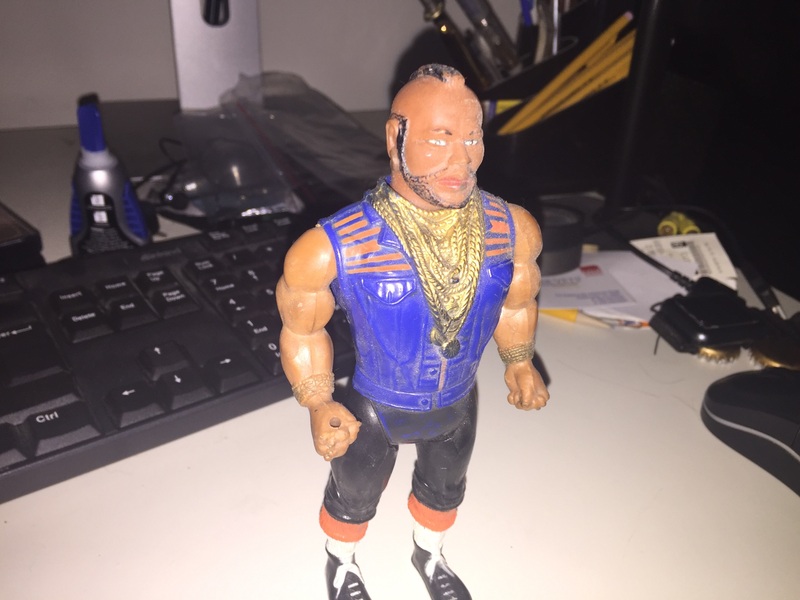 Baracus figure discussed in the podcast. 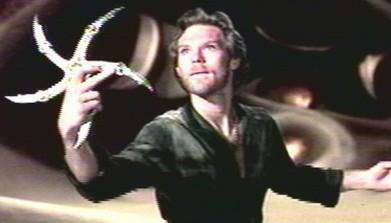 This is what the 1983 film Krull‘s weapon The Glaive actually looks like, that Brian attempted to make himself as a child. 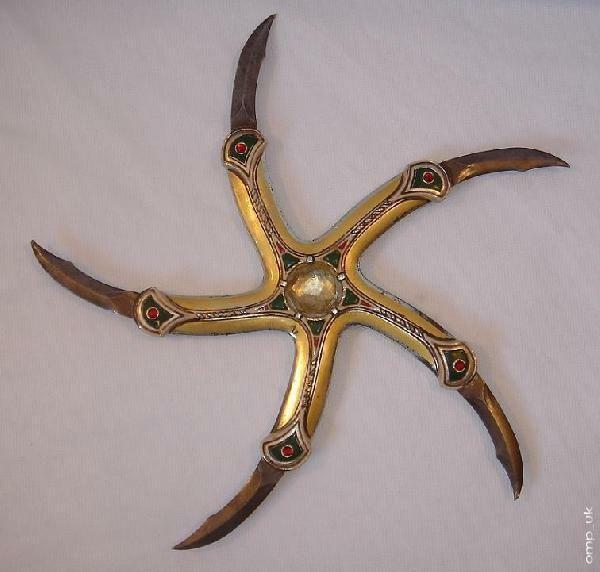 And here it is in the film. 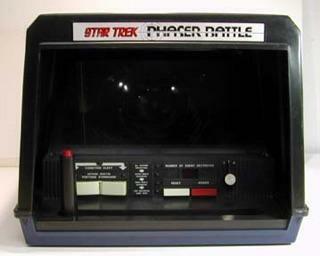 As discussed in the podcast HERE, and HERE are the Star Trek, Laser Tag-esque game called Star Trek Phaser Battle. 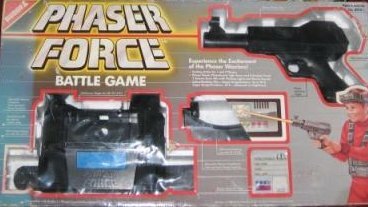 And speaking of Laser Tag-esque play sets, here’s the imitation game Dion‘s parents got him called Phaser Force. 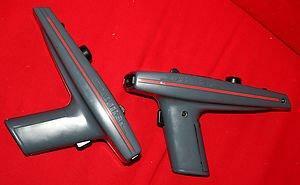 Straight out of J. Marcus vault, here are 2 UNOFFICIAL phasers: HERE is a resin Star Trek TNG Phaser 1 replica, and HERE is a working TOS Phaser 1 replica. 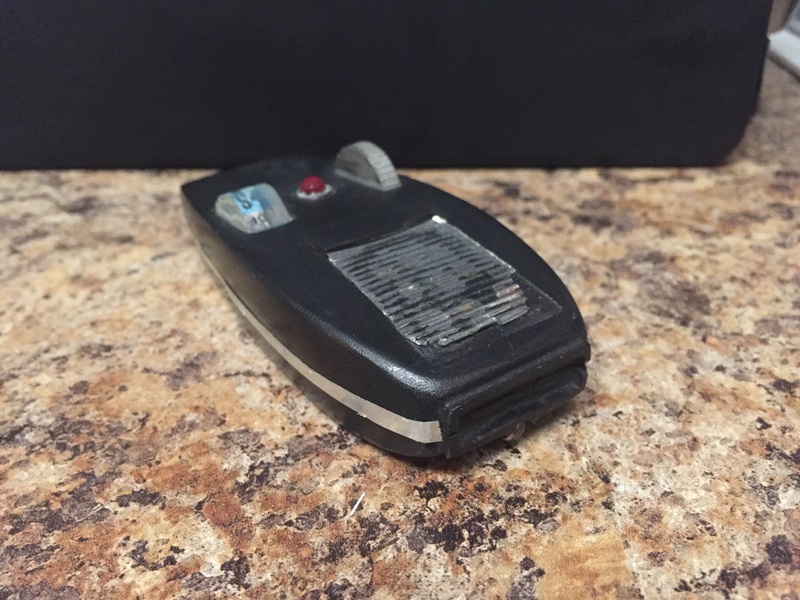 Now take a look at an OFFICIAL Star Trek TNG Playmates Communicator, next to a TNG Tricorder (Note the size difference!). 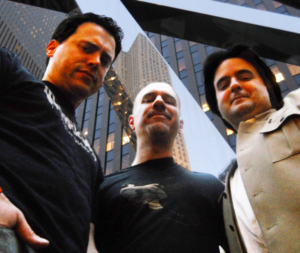 For more podcasts and specials with Brian Zino, J. Marcus and Dion Baia, check out Podwits.com.